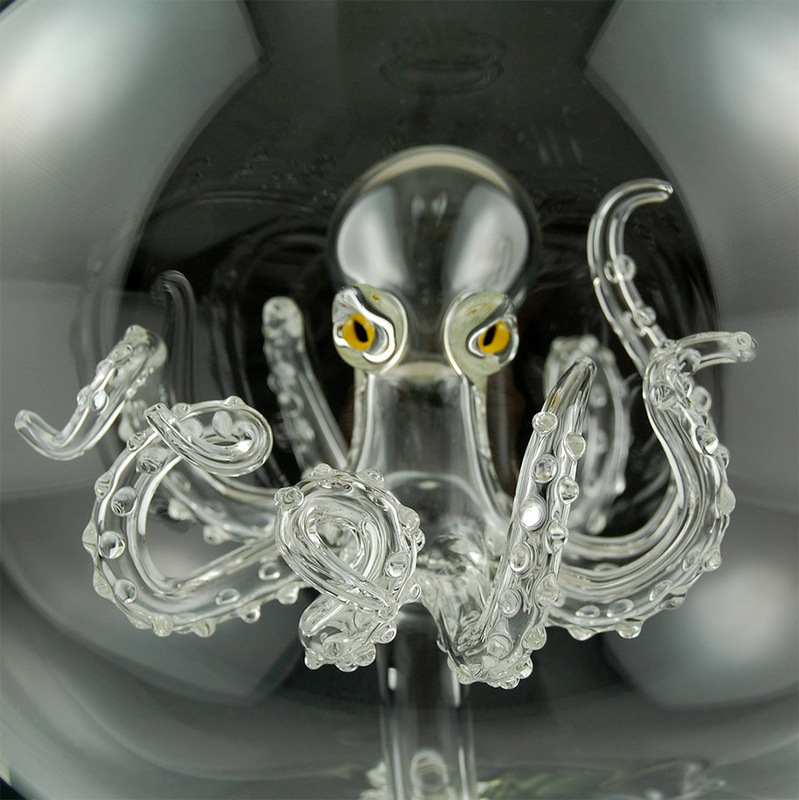 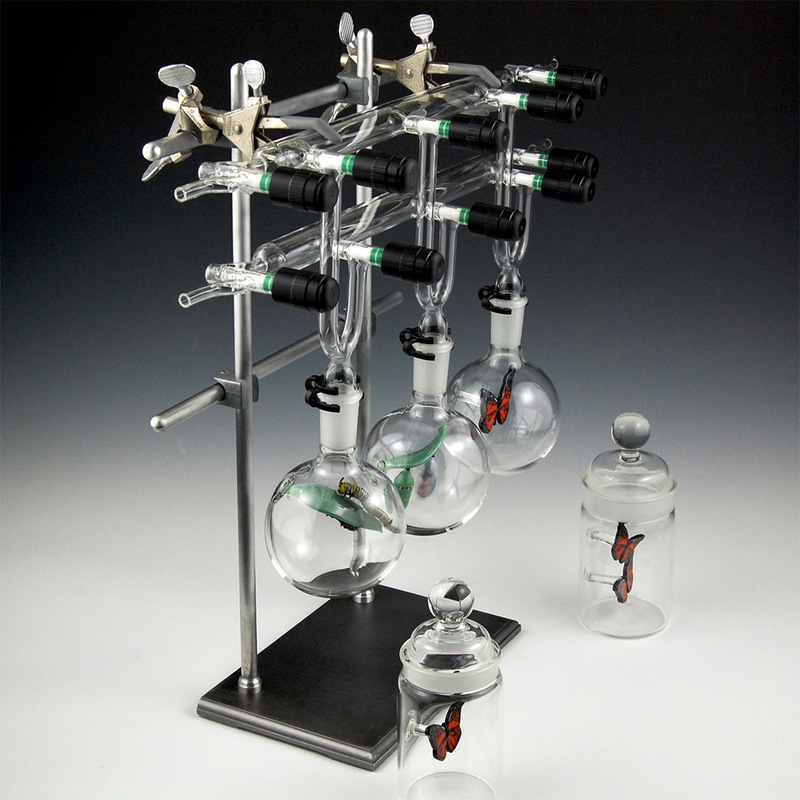 Blown glass is often limited to vases, marbles, fake candy, and of course bongs and pipes. 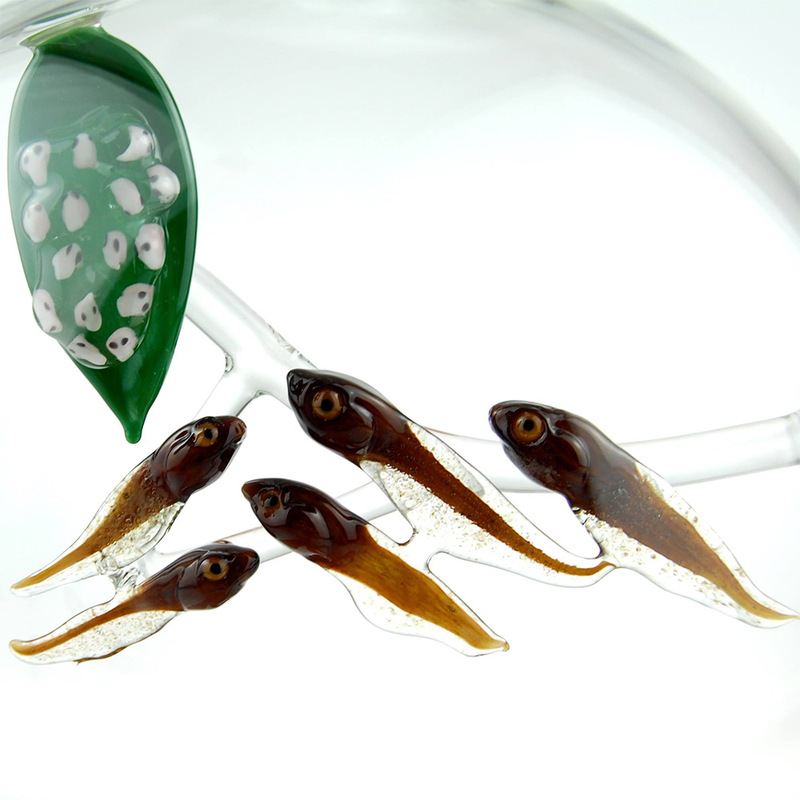 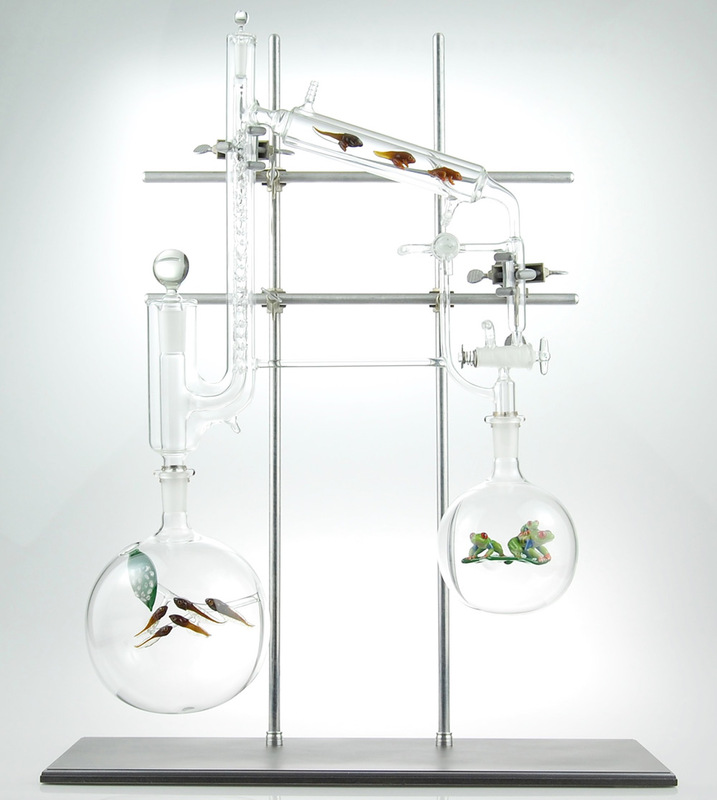 But Kiva Ford, who creates custom medical instruments out of blown glass, creates amazingly intricate sculptures, from single figures to an entire story of an animal's journey from tadpole to frog. 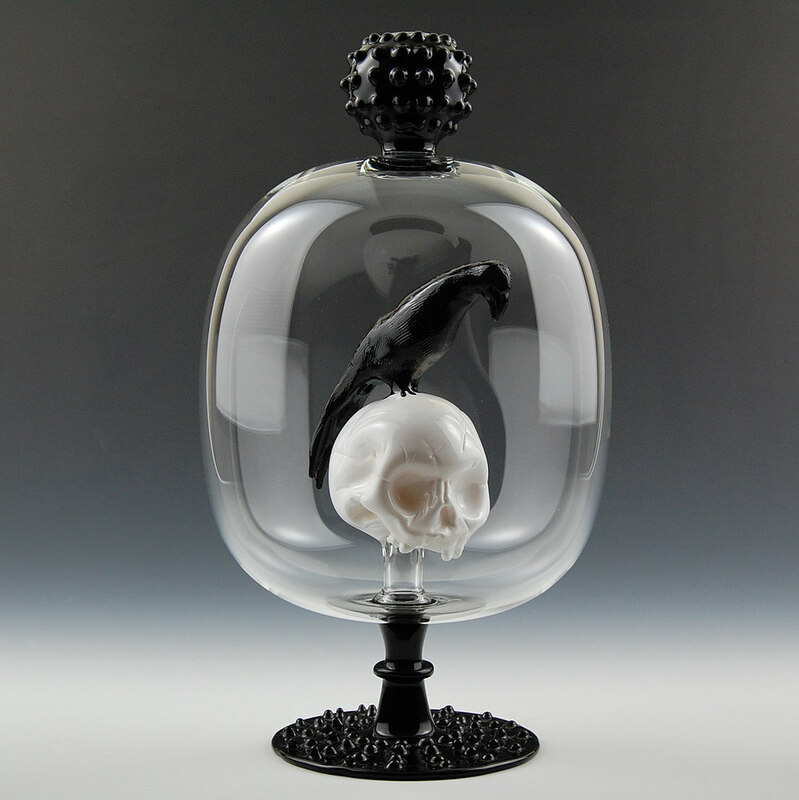 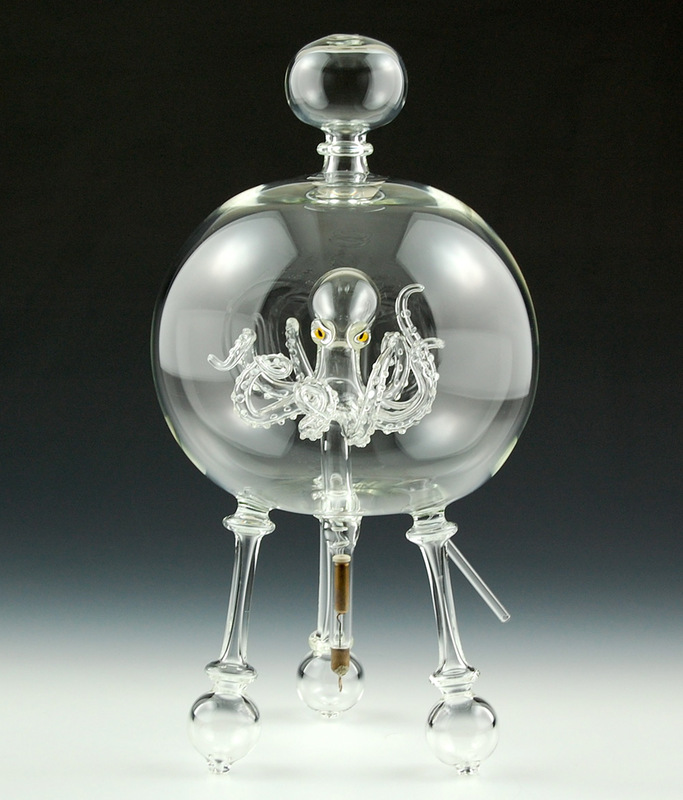 While his large-scale work doesn't seem to be for sale, you can get a piece of the glass blowing action with miniatures and cute jewelry, like a skull in a bottle, from Ford's Etsy shop. 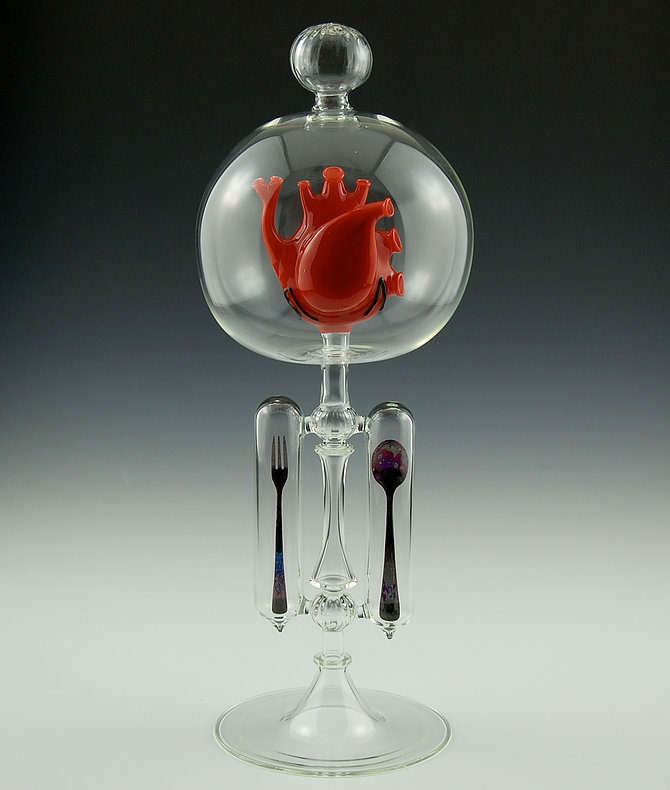 Since glassblowing takes years of practice and large specialized equipment, it's unlikely for us to see pop artists make use of the medium, so hopefully Kiva Ford keeps producing this type of art.